An “accident” is defined as “a mishap.” Accident also suggests an unpreventable or unpredictable event. But an automobile collision is usually caused by the negligence of a driver. Negligence happens when a driver does something while driving which is unsafe and causes the collision.Examples of unsafe driving include driving under influence of alcohol or drugs, texting while driving, and disregarding our traffic laws When another driver engages in this type of conduct and causes the collision it is not an accident. Rather it is negligence. The other driver is responsible for the harm caused. The other driver usually has automobile insurance. His insurance company insures for negligence when driving. The other driver’s insurance company through its insurance agreement agrees to pay your damages up to the amount of their insured driver’s insurance coverage. This means when you have been injured in an automobile or truck collision the other driver’s insurance company must be dealt with. Also, most drivers have automobile insurance coverage for necessary medical treatment for automobile or truck collision injuries. This means two insurance companies, the company for the negligent driver and your company. Pat Trudell deals with the insurance companies, and gets fair value for your claim, so you are free to concentrate on treating for your injuries. Pat will represent you on a contingency fee basis. This means you pay nothing up front. Pat’s fee is based on a percent of your recovery. Pat will get you a fair recovery through negotiation, mediation, arbitration or trial. Through Pat’s representation in your automobile collision case you free yourself of dealing with insurance companies, concentrate on injury recovery, and receive fair value for your claim. Wrongful death of a child, spouse or parent is a tragedy. It means the loss of love, care, companionship, and guidance. It may also mean the loss of financial support. In Washington our state recognizes the rights of recovery to children, spouses and parents for the wrongful death of a spouse, child or parent. A wrongful death case is technically more difficult then a typical negligence claim. This is because Washington law only allows recovery to certain surviving heirs for emotional loss and for financial loss. 2) Statutory Survival Action allowed for estate heirs for the financial loss to the estate because of the wrongful death. Wrongful death claims should only be brought through an experienced lawyer who brings wrongful death claims. Pat Trudell’s law practice includes wrongful death and survival action claims. He understands theories of liability and works with experts when necessary to demonstrate liability. Pat works with the surviving beneficiaries to appreciate and articulate the loss of love, care, companionship, and guidance in monetary terms. He works with financial experts to calculate the financial loss to the estate. Pat is known by insurance companies and defense lawyers as an attorney who fairly evaluates wrongful death and survival claims. His evaluation is based on the reality of the emotional losses and financial losses. When possible he will negotiate a financial recovery similar to what can be accomplished at trial. If the insurance company for the negligent party causing the death does not recognize fairness, Pat will file and try the case to get fairness. Serious injury in a personal injury case means permanent injury. Serious injury often means past medical bills, and future medical expenses. 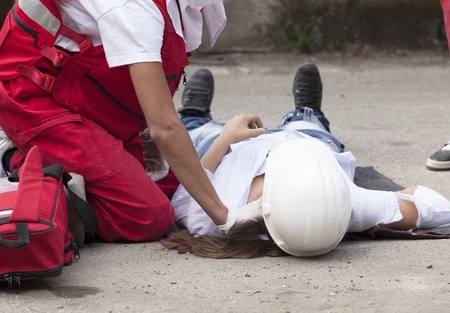 Serious injury often means past wage loss, and future wage loss or future loss of earning capacity. Serious injury often means disability. Disability is present when you lack the ability to perform work, activities, or tasks of living. Disability may be physical, but it also may be sensory or mental. Serious injury may also include pain and suffering. Pain and suffering means past, present, and future pain and suffering experienced since the injury. Often in a serious injury case pain and suffering will continue into the future. Serious injury usually includes loss of capacity to enjoy life. Whereas disability compensates for inability to lead a normal life, and pain and suffering compensates for physical and mental discomfort, loss of ability to enjoy life compensates for loss of specific artistic, athletic, or unique skills possessed and lost or the ability to perform at the pre-injury level. Serious injury also at times involves disfigurement. Disfigurement occurs when there are permanent changes to the body that are observable such as amputation or scars. Pat Trudell handles serious injury cases. He works with his clients to understand the impact to their life as a result of serious injury. Pat works with the client’s doctors to appreciate the future medical impact of permanent injury. He often works with experts in the fields of economic loss evaluation, human performance evaluation and medicine to arrive at a proper evaluation of damages. This allows Pat to have a solid foundation in determining case value. The insurance company sees the case is there and can be tried if fair value is not paid in negotiation. Pat will insist on fair value for your serious injuries. He will take your case through trial if necessary to get fair value for your permanent injuries. If you have been injured by another person’s negligence you will be dealing with an insurance company and/or insurance companies in recovering fair value for your injuries. The Insurance Company for the negligent person. This company is called the third party carrier. This company provides insurance coverage for negligence committed by their insured. When you are injured because of another person’s negligence your recovery will come from the third party carrier. Barriers to fair recovery include proving the other person or entity is negligent and this negligence caused your injuries. These are the liability and causation barriers. Next comes the appreciation of the nature and extent of your injuries. Often the third party carrier will argue your injuries are really preexisting conditions or they were caused by another event. Even when causation is established the third party carrier rarely agrees your case is worth what you believe it is worth. Your Insurance Company. The third party company will usually not pay your medical bills for necessary medical treatment related to your injuries until the end of the case. This means you will be dealing with your insurance company to initially pay your medical bills. When you are injured in a motor vehicle collision your automobile insurance policy often includes provisions for payment of your bills for necessary medical treatment. Your insurance policy likely has a provision allowing it to have you go through a medical exam to determine if your treatment is necessary. After the exam, your insurance company may argue your medical treatment is no longer necessary despite the fact your doctor disagrees. Assuming your automobile insurance company pays its insurance limits for your necessary medical treatment (usually $10,000), your health insurance company likely provides coverage for your continuing injury related medical bills. Continuing payment must be coordinated with your health insurance company. Both of your companies will have a provision stating you must pay them back for the injury related medical treatment they paid for from your recovery from the third party carrier. This is called subrogation. Depending on the facts in your case sometimes your companies have a right to subrogation, but at other times they do not. Uninsured/Underinsured Motorist Coverage. When the negligent third party has no insurance he is uninsured and most likely incapable of paying for his negligence. When he has insurance coverage but it is not enough to pay the full value of your claim he is underinsured. Either way your recourse is with uninsured or underinsured coverage. This is usually in your automobile insurance policy. In this situation you have all of the above issues except you are also dealing with your company on compensation for case value. To deal with insurance issues you need a lawyer who regularly practices in the field of injury. Pat Trudell is a personal injury lawyer with a staff trained in dealing with insurance companies in matters such as payment of medical bills and interacting with your insurance companies in your best interest. Pat Trudell and staff handle all your insurance issues, obtain fair value for your claim, and determine what if any subrogation rights exist. You are free to concentrate on injury recovery.